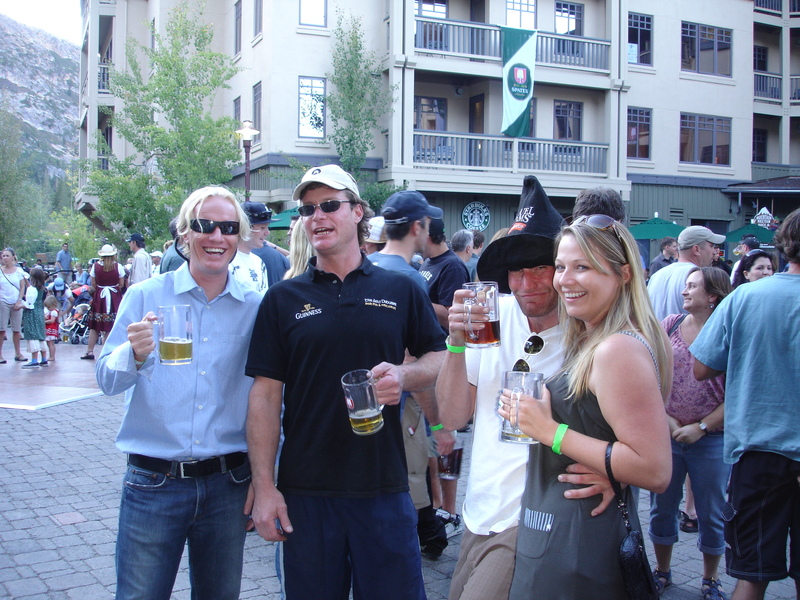 Squaw Valley Real Estate: Octoberfest Sep 28! Squaw Valley real estate owners get treated with Octoberfest every year last weekend of September! It is a little piece of Germany right in your Squaw Valley real estate background! Various beers on tap, Bavarian music, dancing, and friends! It is the most fun event in the Lake Tahoe real estate/Squaw Valley real estate during the slow season, and everyone crawls from under their rocks to attend. Good for the entire family and dogs on leash. $10 glass and a first beer free. Refills $5. See you there Squaw Valley real estate owners and friends! Remember not to drink and drive! Click For Squaw Valley real estate listings, or for full Lake Tahoe MLS click Lake Tahoe real estate listings. Electric vs. Gas Water Heater in Lake Tahoe Real Estate? As a Lake Tahoe realtor and a home owner, I was recently faced with electric water heater vs. gas water heater decision for my own Lake Tahoe real estate, which lead me to investigate my options. There are several things to consider for your Lake Tahoe real estate water heater needs. This is a loose guideline and not an advice for electric vs. gas water heater and you should always consult with a licensed plumber to confirm. All statements are approximate. Perhaps the most important factor when considering electric vs. gas water heater is the location of the water heater in your Lake Tahoe real estate. There are several codes that have to be followed when installing gas and electric water heaters in Lake Tahoe real estate, and most of them have to do with venting. Gas water heaters need to be vented, whereas the electric water heaters do not. If your Lake Tahoe real estate has a constricted area in which to put the water heater, the electric vs. gas water heater decision may be easy for you, as electric may be the only option. Gas water heaters are not all created equal, though! 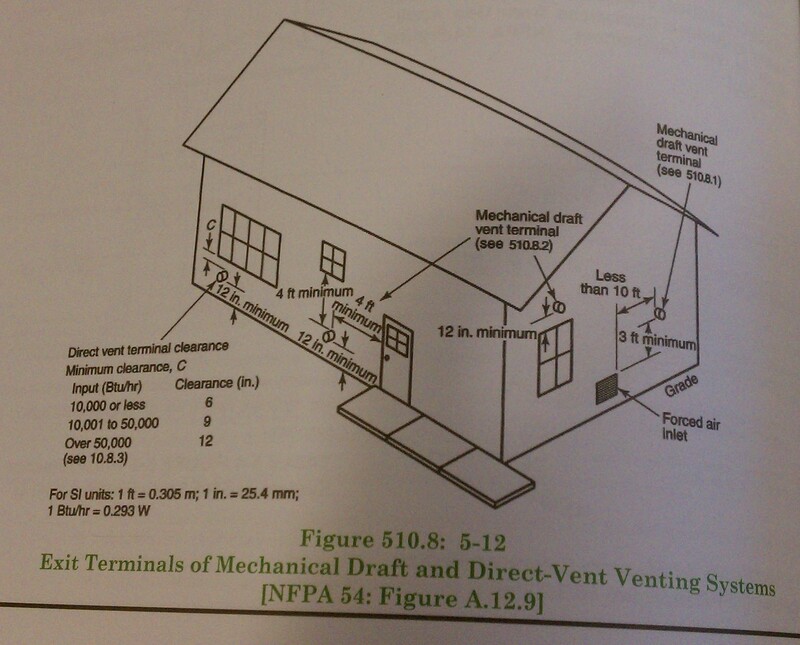 1) Power vent: the only option if you have constricted space and can’t vent up, but have to vent to the side. Has a blower at the top to blow the air out to the side, so smaller vent pipe is sufficient. Most expensive option up front, but installation may be less since smaller pipe to vent may be OK, and it doesn’t have to vent through the roo f, which in Lake Tahoe real estate means, snow splitters etc. Lake Tahoe real estate gas water heaters have to vent a foot above the snow line, so keep that in mind. It requires a combustion air intake, so if in constricted space, the door either has to have slats or there has to be a vent inside the enclosure. 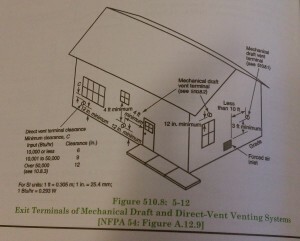 2) Direct vent: like power vent, it vents to the side, but it is not a space saver as it requires about a foot above before the larger pipe is allowed to make a turn. Usually cheaper than power vent, and a great option if you can’t vent through the roof. 3) Atmospheric water heater: otherwise known as the “regular” gas water heater, the cheapest to buy but it has to vent directly up and through the roof. 4) Tankless water heater: the ultimate space-saver, and the most efficient and eco-friendly. But, do tankless water heaters work in Lake Tahoe real estate? I was told they have to work overtime to heat up the Lake Tahoe real estate frigid water, and anything less than 200,000 BTU doesn’t really work. I was, also, told that it affects the water pressure in Lake Tahoe real estate. They require a larger gas line, and both installation and purchase price are significantly more. So, electric vs. gas water heater in Lake Tahoe real estate? If you are trying to save up front costs, or otherwise won’t be affected by the operating costs, electric is the way to go; however, gas water heater will pay for itself in less than 3 years in operating costs, and will heat up nearly twice as much water in an hour, so if you have many people showering, time between water heating is much less for gas water heaters. If space and up front costs aren’t an issue, the gas water heater in Lake Tahoe real estate is the way to go! Once you decide electric vs. gas water heater, when shopping, keep in mind that for Lake Tahoe real estate both need to be high altitude models! If you are buying from Home Depot or Lowes, make sure you ask for high altitude models, as most floor models are not! Allow extra time when ordering your Lake Tahoe real estate water heater. For all your Lake Tahoe Real Estate needs, call Olja Mihic, your Lake Tahoe Realtor! Click for Squaw Valley real estate, or Lake Tahoe luxury homes, or to search full Lake Tahoe MLS. Active Listings: Lake Tahoe MLS shows the current inventory of residential Lake Tahoe real estate went down slightly from last week to 869 residential Lake Tahoe properties for sale; 656 single family Lake Tahoe homes and 213 Lake Tahoe condominiums for sale. Coldwell Banker has over 15% of the active listings in the market and continues to be the market leader for listings. Lake Tahoe Foreclosures (REO)-Short Sale Active Listings: Of the active Lake Tahoe real estate listings, there are only 7 properties listed as a Lake Tahoe foreclosure (REO) and 14 properties listed as a short sale. Months of Lake Tahoe Real Estate Inventory: Based on the current active Lake Tahoe real estate inventory and sales for the previous 30-day period, as reported by Lake Tahoe MLS, the market has over 6-months of inventory available. Total Sales: Lake Tahoe MLS shows for 2013, there have been 1,015 residential Lake Tahoe real estate sold in the market which is 10% higher than the 920 Lake Tahoe properties sold in 2012 for the same period. Of the total Lake Tahoe real estate sales in the market this year, 805 have been single family Lake Tahoe homes, while 210 or 20% of the sales are Lake Tahoe condominiums. In 2012 for the same period, condominiums represented 26% of the Lake Tahoe real estate sales. Lake Tahoe Foreclosures (REO) & Short Sales: Distressed property sales are down significantly for the year with 53 Lake Tahoe Foreclosures (REO) sales, (5%), and 90 Short Sales, (9%) which results in 14% of the Lake Tahoe properties sold being distressed properties. Conversely, in 2012 for the same period, there were 146 Lake Tahoe Foreclosures (REO) sales and 139 short sales or 31% of the total sales being distressed Lake Tahoe properties. Sales by Price Range: In 2013, there have been 567 residential Lake Tahoe real estate sold with a purchase price below $500,000, 328 Lake Tahoe properties sold between $500,000 and $1,000,000 and 120 Lake Tahoe properties sold over $1,000,000. Median and Average Sales Prices: The median sales price for Lake Tahoe homes sold year to date is $455,000 while the average Lake Tahoe real estate sales price is $683,257. For the same period in 2012, the median Lake Tahoe real estate sales price was $395,000 and the average Lake Tahoe real estate sales price was $539,124 which is an increase of 15% in median sales price and an increase of 26% in average sales price. Last Week’s Sales: Lake Tahoe MLS shows for the week of September 9th a total of 29 properties sold which was just under the 30 properties sold last week. Of the 29 Lake Tahoe real estate sales this past week, there were 6 Lake Tahoe properties sold over $1.0 million and of those one sold at a price above $5.0 million. Pending Sales: Currently there are 238 pending residential Lake Tahoe real estate sales in the market which is up slightly from last week’s pending Lake Tahoe real estate sales of 237. Of the pending Lake Tahoe homes, 15% are distressed properties with 32 being short sales and 5 being Lake Tahoe Foreclosures (REO’s). At the midpoint for September sales, residential Lake Tahoe real estate sales are slightly ahead of last year’s sales with 59 Lake Tahoe properties selling as compared to 57 for the same period last year. On a year to date basis, a total of 1,015 residential Lake Tahoe homes have sold which is up 10% from the 920 sales for the same period last year. The median Lake Tahoe real estate sales price for residential Lake Tahoe real estate for 2013 is currently at $455,000 which is up 15% from the median Lake Tahoe real estate sales price of $395,000 in 2012. Similarly the average Lake Tahoe real estate sales price has gone up a dramatic 26% to $683,257 as compared to last year’s average Lake Tahoe real estate sales price of $539,124. The segment of the market with the highest level of sales continues to be Lake Tahoe homes priced under $500,000 as 56% of the Lake Tahoe real estate sales or 567 properties have sold in this price range which is down slightly from 2012 where over 64% of Lake Tahoe real estate sales or 595 properties sold in this price range. This variance is an indication of the rising prices in the market. Lake Tahoe luxury homes sales, Lake Tahoe homes priced above $1,000,000, have gone up 58% from 2012 with 120 Lake Tahoe luxury homes selling since the beginning of the year as compared to only 76 Lake Tahoe luxury homes sales for the same period in 2012. Lake Tahoe luxury homes sales represent 11% of sales thus far this year. The median sales price for Lake Tahoe luxury homes in 2013 is $1,712,500 as compared to a median price of $1,484,289 in 2012 which is up 15%. The average sales price of Lake Tahoe luxury homes in 2013 is $2,421,570 as compared to $2,036,680 in 2012 which is a 19% increase. Mid-range market sales, Lake Tahoe homes priced $500,000 to $1,000,000 have gone up 31% from last year with 328 Lake Tahoe properties sold in this segment or 32% of Lake Tahoe real estate sales as compared to 249 properties sold or 27% of sales in this price range in 2012. Lake Tahoe MLS reports distressed properties, Lake Tahoe Foreclosures (REO’s) and Short Sales, completely reversed the trend set in 2012. For 2013, short sale properties closed have gone down 35% with 90 closed short sales in 2013 as compared to 139 closed short sales in 2012. Similarly, Lake Tahoe foreclosures (REO) closed in 2013 have gone down 63% with 53 properties closed in 2013 as compared to 146 properties closed in 2012. Overall, distressed Lake Tahoe property sales, (Lake Tahoe foreclosures (REO) and Short Sales) represent 14% of the Lake Tahoe real estate sales in 2013 which is significantly less than the 31% in 2012. The active Lake Tahoe real estate inventory on a year over year basis is down roughly 3% as we currently have 869 residential Lake Tahoe properties listed for sale as compared to 894 a year ago at this time. THERE ARE STILL GREAT BUYING OPPORTUNITIES: With current Lake Tahoe real estate inventory levels there remain many quality Lake Tahoe homes to choose from throughout the north Lake Tahoe real estate and Truckee real estate area, including Squaw Valley real estate. When you compound the Lake Tahoe real estate inventory available with Lake Tahoe homes priced at 10-year lows and favorable interest rates, savvy Lake Tahoe real estate investors are taking advantage of this market and acquiring homes in many of the Lake Tahoe real estate and Truckee real estate resort communities, including Squaw Valley real estate. Lake Tahoe MLS Active Listings: Lake Tahoe MLS shows the current inventory of residential Lake Tahoe real estate went down slightly from last week to 876 residential Lake Tahoe properties for sale; 664 single family Lake Tahoe homes and 212 Lake Tahoe condominiums for sale. Lake Tahoe Foreclosures (REO)-Short Sale Active Listings: Lake Tahoe MLS shows of the active Lake Tahoe real estate listings, there are only 6 properties listed as Lake Tahoe foreclosures (REO) and 16 properties listed as a short sale. Months of Inventory: Based on the current active Lake Tahoe real estate inventory, as shown in Lake Tahoe MLS, and sales for the previous 30-day period, the market has over 6-months of inventory available. Total Lake Tahoe Real Estate Sales: Lake Tahoe MLS shows, for 2013, there have been 986 residential Lake Tahoe properties sold in the market which is 11% higher than the 886 Lake Tahoe properties sold in 2012 for the same period. Of the total Lake Tahoe real estate sales in the market this year, 782 have been single family Lake Tahoe homes, while 204 or 20% of the Lake Tahoe real estate sales are Lake Tahoe condominiums. In 2012 for the same period, Lake Tahoe condominiums represented 25% of the Lake Tahoe real estate sales. Lake Tahoe Foreclosures (REO) & Short Sales: Distressed Lake Tahoe property sales are down significantly for the year with 51 Lake Tahoe foreclosures (REO) sales and 90 Short Sales which results in 14% of the Lake Tahoe real estate sold being distressed Lake Tahoe properties. Conversely, in 2012 for the same period, there were 143 Lake Tahoe foreclosures (REO) sales and 136 short sales or 31% of the total Lake Tahoe real estate sales being distressed Lake Tahoe properties. Sales by Price Range: Lake Tahoe MLS shows in 2013, there have been 555 residential Lake Tahoe real estate sold with a purchase price below $500,000, 317 Lake Tahoe properties sold between $500,000 and $1,000,000 and 114 Lake Tahoe properties sold over $1,000,000. Median and Average Sales Prices: Lake Tahoe MLS shows the median sales price for Lake Tahoe real estate sold year to date is $455,000 while the average Lake Tahoe real estate sales price is $681,188. For the same period in 2012, the median Lake Tahoe real estate sales price was $396,000 and the average Lake Tahoe real estate sales price was $544,680 which is an increase of 15% in median sales price and an increase of 25% in average sales price. Last Week’s Sales: For the week of September 2nd a total of 30 Lake Tahoe properties sold which was down from the prior week’s Lake Tahoe real estate sales of 43 Lake Tahoe properties. Of the 30 Lake Tahoe real estate sales this past week, there were four properties sold over $1.0 million and of those, three (3) were sold at a price above $5.0 million. Pending Sales: Currently there are 237 pending residential Lake Tahoe real estate sales in the market which is down from last week’s pending Lake Tahoe real estate sales of 256. Of the pending Lake Tahoe real estate, 16% are distressed properties with 29 being short sales and 6 being Lake Tahoe foreclosures (REO’s). The first week of September has gotten off to a great start with 30 closed residential Lake Tahoe properties as compared to 23 for the same period in 2012. On a year to date basis, a total of 986 residential Lake Tahoe real estate have sold which is up 11% from the 886 sales for the same period last year. Coldwell Banker Residential Brokerage for 2013 is #1 in the entire market in terms of both unit sides sold, (465 sales) and sales volume sold, ($206 million). The median Lake Tahoe real estate sales price for residential Lake Tahoe real estate for 2013 is currently at $455,000 which is up 15% from the median Lake Tahoe real estate sales price of $396,000 in 2012. Similarly the average sales price has gone up a dramatic 25% to $681,188 as compared to last year’s average sales price of $544,680. The segment of the market with the highest level of Lake Tahoe real estate sales continues to be homes priced under $500,000 as 56% of the sales or 555 properties have sold in this price range which is down slightly from 2012 where over 64% of Lake Tahoe real estate sales or 570 properties sold in this price range. This variance is an indication of the rising prices in the market. Lake Tahoe luxury homes sales, homes priced above $1,000,000, have gone up 50% from 2012 with 114 Lake Tahoe luxury homes selling since the beginning of the year as compared to only 76 Lake Tahoe luxury homes sales for the same period in 2012. Lake Tahoe luxury homes sales represent 11% of Lake Tahoe real estate sales thus far this year. The median sales price for Lake Tahoe luxury homes in 2013 is $1,745,000 as compared to a median price of $1,484,289 in 2012 which is up 17%. The average sales price of Lake Tahoe luxury homes in 2013 is $2,451,039 as compared to $2,036,680 in 2012 which is a 20% increase. Mid-range market sales, Lake Tahoe homes priced $500,000 to $1,000,000 have gone up 32% from last year with 317 Lake Tahoe properties sold in this segment or 32% of sales as compared to 240 Lake Tahoe properties sold or 27% of sales in this price range in 2012. Distressed properties, Lake Tahoe foreclosures (REO’s) and Short Sales, completely reversed the trend set in 2012. For 2013, short sale Lake Tahoe real estate closed have gone down 34% with 90 closed short sales in 2013 as compared to 136 closed short sales in 2012. Similarly, Lake Tahoe foreclosures (REO) closed in 2013 have gone down 64% with 51 Lake Tahoe properties closed in 2013 as compared to 143 Lake Tahoe properties closed in 2012. Overall, distressed property sales, (Lake Tahoe foreclosures (REO) and Short Sales) represent 14% of the Lake Tahoe real estate sales in 2013 which is significantly less than the 31% in 2012. Lake Tahoe MLS shows the active Lake Tahoe real estate inventory on a year over year basis is down roughly 12% as we currently have 876 residential Lake Tahoe properties listed for sale as compared to 998 a year ago at this time. THERE ARE STILL GREAT BUYING OPPORTUNTIES: With current Lake Tahoe real estate inventory levels there remain many quality Lake Tahoe properties to choose from throughout the north Lake Tahoe real estate and Truckee real estate area, including Squaw Valley real estate. When you compound the Lake Tahoe real estate inventory available with Lake Tahoe homes priced at 10-year lows and favorable interest rates, savvy real estate investors are taking advantage of this market and acquiring homes in many of the Lake Tahoe real estate and Truckee real estate resort communities, including Squaw Valley real estate. Contact Olja Mihic, Your Lake Tahoe Realtor Today to Find Out More about the Opportunities Available in the Lake Tahoe Real Estate – Truckee Real Estate Market, Including Squaw Valley Real Estate. Active Listings: Lake Tahoe MLS shows the current inventory of residential Lake Tahoe real estate went down slightly from last week with 886 residential Lake Tahoe properties for sale; 667 single family Lake Tahoe homes and 219 Lake Tahoe condominiums for sale. Coldwell Banker has over 16% of the active listings in the market and continues to be the market leader for listings. Lake Tahoe Foreclosures (REO)-Short Sale Active Listings: Of the active Lake Tahoe real estate listings, there are only 6 properties listed as Lake Tahoe foreclosure and 17 properties listed as a short sale. Months of Inventory: Based on the current active Lake Tahoe real estate inventory and sales for the previous 30-day period, Lake Tahoe MLS shows the market has over 6-months of inventory available. Total Sales: For 2013, there have been 944 residential Lake Tahoe properties sold in the market which is 9% higher than the 863 Lake Tahoe properties sold in 2012 for the same period. Of the total Lake Tahoe real estate sales in the market this year, 751 have been single family Lake Tahoe homes, while 193 or 20% of the sales are Lake Tahoe condominiums. In 2012 for the same period, Lake Tahoe condominiums represented 25% of the Lake Tahoe real estate sales. Lake Tahoe Foreclosures (REO) & Short Sales: Distressed Lake Tahoe real estate sales are down significantly for the year with 50 Lake Tahoe foreclosure sales, (5%), and 88 Short Sales, (9%) which results in 14% of the Lake Tahoe real estate sold being distressed properties. Conversely, in 2012 for the same period, there were 142 Lake Tahoe foreclosure sales and 133 short sales or 32% of the total Lake Tahoe real estate sales being distressed properties. Sales by Price Range: In 2013, Lake Tahoe MLS shows there have been 529 residential Lake Tahoe properties sold with a purchase price below $500,000, 307 properties sold between $500,000 and $1,000,000 and 108 properties sold over $1,000,000. Median and Average Sales Prices: The median Lake Tahoe real estate sales price for properties sold year to date is $456,250 while the average Lake Tahoe real estate sales price is $673,696. For the same period in 2012, the median sales price was $392,000 and the average sales price was $545,021 which is an increase of 16% in median sales price and an increase of 23% in average sales price. Last Week’s Sales: For the week of August 26th a total of 43 Lake Tahoe properties sold which was up significantly from the prior week’s Lake Tahoe real estate sales of 26 properties. Of the 43 Lake Tahoe real estate sales this past week, there was one property which sold for $9.4 million and one that sold for $7.9 million. Pending Sales: Currently, Lake Tahoe MLS shows there are 256 pending residential Lake Tahoe real estate sales in the market which is identical to pending Lake Tahoe real estate sales last week. Of the pending Lake Tahoe real estate, 15% are distressed Lake Tahoe properties with 32 being short sales and 7 being Lake Tahoe foreclosures (REO’s). The last week of August was the highest single week of closed residential Lake Tahoe real estate sales for the entire 2013 year with 43 properties closing. For the month of August there were a total of 148 residential Lake Tahoe real estate sales as compared to 157 residential sales in 2012 which was down 6%. On a year to date basis, a total of 944 residential Lake Tahoe properties have sold which is up 9% from the 863 sales for the same period last year. The median Lake Tahoe real estate sales price for residential Lake Tahoe properties for 2013 is currently at $456,250 which is up 16% from the median sales price of $392,000 in 2012. Similarly the average Lake Tahoe real estate sales price has gone up a dramatic 23% to $673,696 as compared to last year’s average sales price of $545,021 due in large part to the higher number of Lake Tahoe luxury homes sales in the market since the beginning of the new year. The segment of the market with the highest level of Lake Tahoe real estate sales continues to be homes priced under $500,000 as 56% of the sales or 529 properties have sold in this price range which is down slightly from 2012 where over 64% of sales or 558 Lake Tahoe properties sold in this price range. This variance is an indication of the rising prices in the market. Lake Tahoe luxury homes sales, homes priced above $1,000,000, have gone up 44% from 2012 with 108 Lake Tahoe luxury homes selling since the beginning of the year as compared to only 75 Lake Tahoe luxury homes sales for the same period in 2012. Lake Tahoe luxury homes sales represent 11% of Lake Tahoe real estate sales thus far this year. The median sales price for Lake Tahoe luxury homes in 2013 is $1,732,500 as compared to a median price of $1,479,000 in 2012 which is up 17%. The average sales price of Lake Tahoe luxury homes in 2013 is $2,399,115 as compared to $2,048,032 in 2012 which is a 17% increase. The mid range Lake Tahoe real estate market sales, $500,000 to $1,000,000 have gone up 33% from last year with 307 Lake Tahoe properties sold in this segment or 32% of sales as compared to 230 Lake Tahoe properties sold or 26% of sales in this price range in 2012. Distressed properties, Lake Tahoe foreclosures (REO’s) and Short Sales, completely reversed the trend set in 2012. For 2013, short sale properties closed have gone down 34% with 88 closed short sales in 2013 as compared to 133 closed short sales in 2012. Similarly, Lake Tahoe foreclosures (REO) properties closed in 2013 have gone down (64%) with 50 Lake Tahoe properties closed in 2013 as compared to 142 properties closed in 2012. Overall, distressed Lake Tahoe real estate sales, (Lake Tahoe foreclosures (REO) and Short Sales) represent 14% of the sales in 2013 which is significantly less than the 32% in 2012. Lake Tahoe MLS shows the active Lake Tahoe real estate inventory on a year over year basis is down roughly 11% as we currently have 886 residential Lake Tahoe properties listed for sale as compared to 998 a year ago at this time. IT’S NOT TOO LATE: With current Lake Tahoe real estate inventory levels, there remain many quality Lake Tahoe properties to choose from throughout the north Lake Tahoe real estate and Truckee real estate, including Squaw Valley real estate, area. When you compound the Lake Tahoe real estate inventory available with homes still priced at 10-year lows and still favorable interest rates, savvy real estate investors are taking advantage of this market and acquiring homes in many of the Lake Tahoe real estate and Truckee real estate resort communities. Contact Olja Mihic, Your Lake Tahoe Realtor Today to Find Out More about the Opportunities Available in the Lake Tahoe Real Estate-Truckee Real Estate-Squaw Valley Real Estate Market.